Houston Reliant Park 2007 By Matt Thompson. Special thanks too Madcowie, Dave Geall, Motorfx, and Colvin35. Replace pit and start lights. Add tires in garage to serve as a guide to exiting on to pit road. Glows don't light up during daylight hours now. There are currently no setups for Houston Reliant Park 2007. Add a Setup. I would like to thank you for this sharing. i found this is an very important place for all windows operator, they will be increase your knowledge from sync folders windows 10 setting. it is make easier your system sync setting and all related information was available in there homepage. 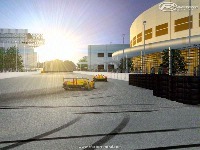 could you give me the permission for the publishhing of my F1 Challenge 99-02 convertion of this this your track, please? Guys, there is an update that needs to be done to the track to fix timing issues. But the 1.1 link is broken and I have no backup. So if Anyone could upload the latest version somewhere so I can do the update, that would be great. could o possibly have permission to release this track for f1c? With CC07 (v1.2) AI is within 1 second of the original best practice lap time from 2007 (AI strength set to 100%). The best AI cars were about 0.8 seconds faster than Bourdais in 2007. That's quite close for a sim. Haven't tested a complete race yet. I personally like this configuration than the previous street course outside of downtown Houston. A lot of the details around this course are in very nice detail. That includes Reliant Center, Reliant Stadium, the historic Astrodome, and little Reliant Arena. This is a great course done with great detail. What I take away from this course is that it is absolutely tricky. Like you can only go so fast until you get punished by hitting the tire barriers. I still need plenty of practice to master this fairly short course. But it's fun! 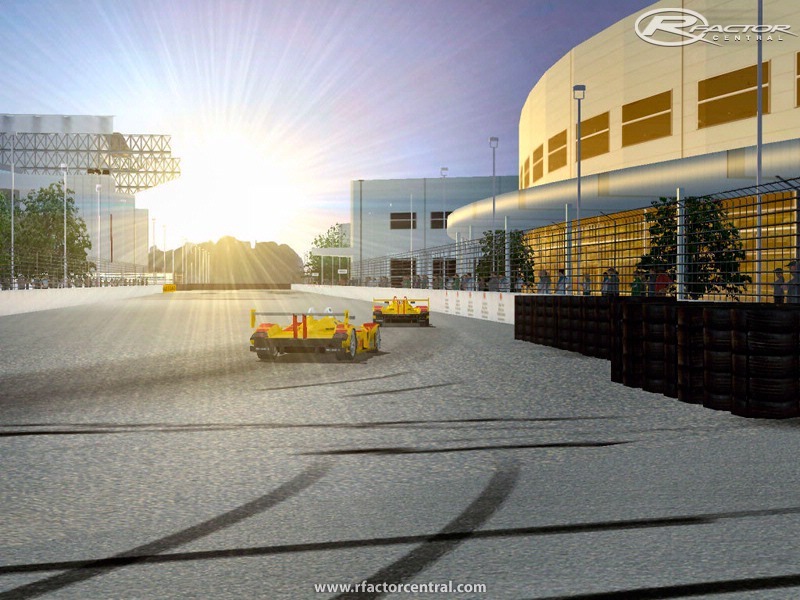 Houston's my hometown, and this is a great hometown addition to rFactor. Well done! Yes, this is an exciting developing track and am looking forward to it becoming even greater. Very nice work! I also hate to mention this here, where it should be just about the track, that there is only one Slimjim (a great contributer of our community), with a single 'm'. The other one with two 'mm's posts really unconstructive things often in other places and is... well, just plain mmean. Hi Matt. Nice update. AI cars are now a bit slower and it's now more difficult for non-AI cars too. One question: which Open Wheeler mods do you use for testing your tracks and Houston in particular? I have noticed over the last few days that some tracks (not necessarily yours) do not work for some mods, especially with respect to bumps.